When you decide to jump into bathroom remodeling, you’ll learn it’s a lot more involved than you first thought. In fact, it’s quite a challenge to do some of the work. But, if you’re confident about your do-it-yourself skills and have the experience, you can tackle it on your own. Some of bath remodel prep work isn’t difficult, like removing wainscoting from the wall or taking down a wall mounted towel rack. But, where most homeowners run into unfamiliar territory is the electrical wiring and plumbing. Empty the bathroom. Your first order of business for any type of room remodeling project is to start with a blank slate and while it’s tempting to start swinging a sledgehammer, you’ve got to remove the decor, toiletries, and everything else first. Empty the bathroom so that only the fixtures remain (vanity, shower/bath, toilet, and racks). Turn off the water. Next, turn off the water supply to the bathroom. 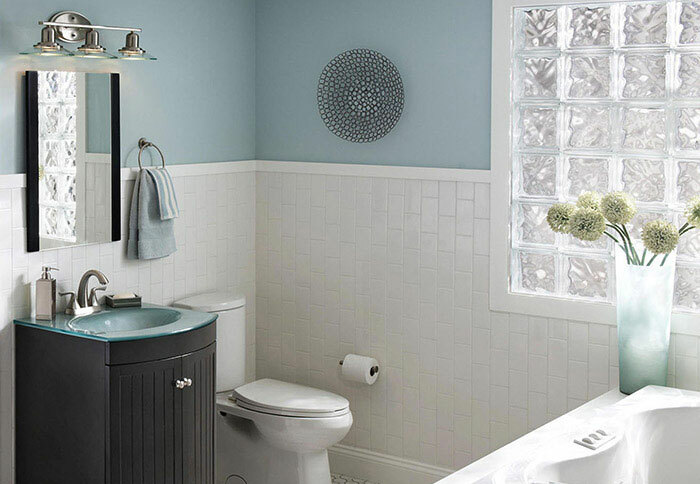 Even if you’re just going to replace the vanity and leave the toilet and shower and/or bath, you’ll still need to shut off the water supply so you can replace the vanity. Turn off the power. When the water supply is off, bring in some towels and/or drop cloths, along with a bucket or two. These will come in handy if you are removing the vanity, and/or toilet, and/or shower/bath. Be sure to turn off the electrical power, if you’re going to replace the lights and/or fan. Remove the fixtures. Strip all the fixtures from the walls (medicine cabinet, towel racks, and more). Then, remove the vanity first, toilet next, and finally, pull out the tub/shower. This will create more space as you remove each one so it’s easier to get the larger fixtures out. Before you begin your bathroom remodel, be sure to phone 800-433-1094 or visit Junk Garbage Removal. Schedule construction and remodeling debris cleanup before you start gutting for a small or big bathroom remodel.